THE WHOLE WORLD IS WITH YOU, OYUB! – People from different parts of Europe supported the Chechen human rights defender from the Human Rights Center Memorial before the court hearing, which is to be held in the Chechen Republic on March 18, 2019. The prosecution insists on 4 years in prison. 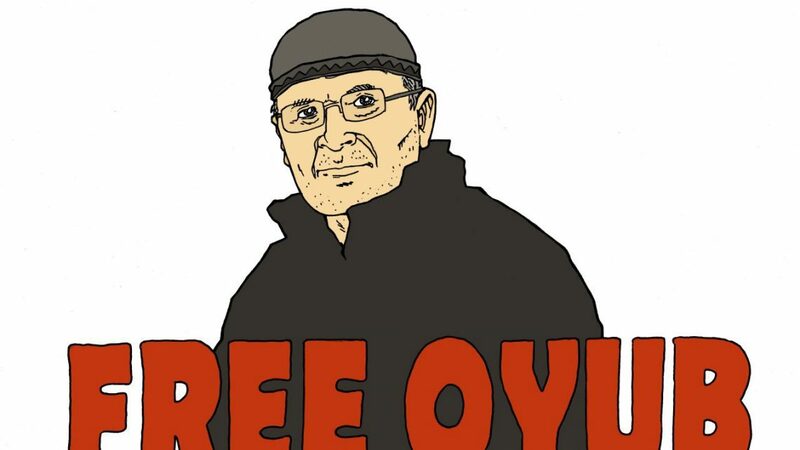 Let us remind that law enforcement agencies planted narcotic substances to Oyub Titiev in the Chechen Republic. Numerous facts of the criminal case fabrication were proved, meanwhile the prosecution did not provide any evidence. Oyub defended the rights of his compatriots against the authorities’ injustice and for this reason he became imprisoned today. In spite of the injustice that the human rights defender faces, he stands firm with dignity as a real Qonakh! Oyub Titiev is a decent son of his folk. We are with you, the whole world is with you! May Allah free you as soon as possible!